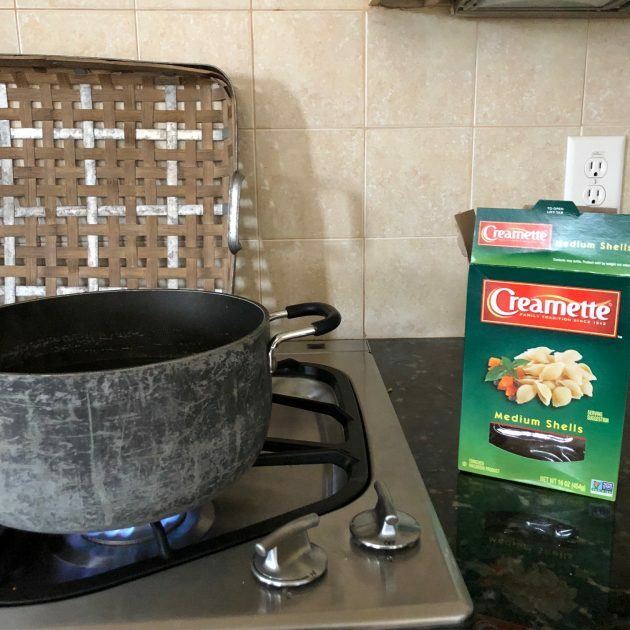 Freezer Cooking, $0.50 Romaine, Toilet Paper Stock-up! You can see all of my $70 Grocery Budget Update posts here. For live updates, be sure to follow my Instagram Stories. 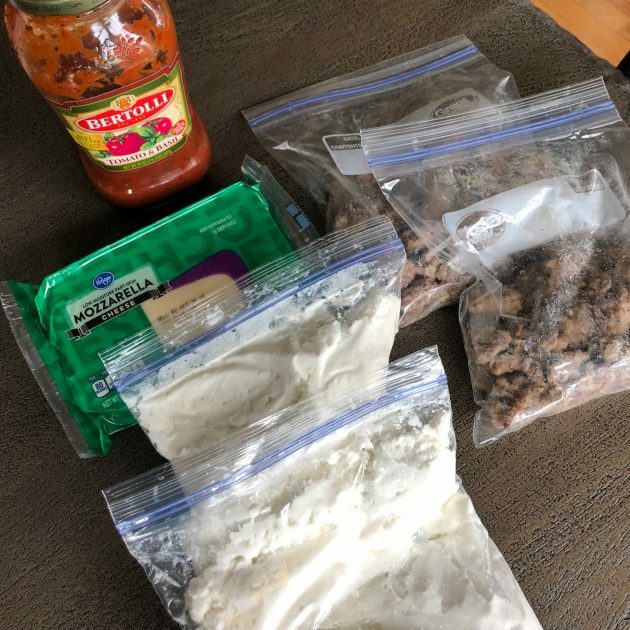 I’ve been having so much fun challenging myself with this $70 Grocery Budget! 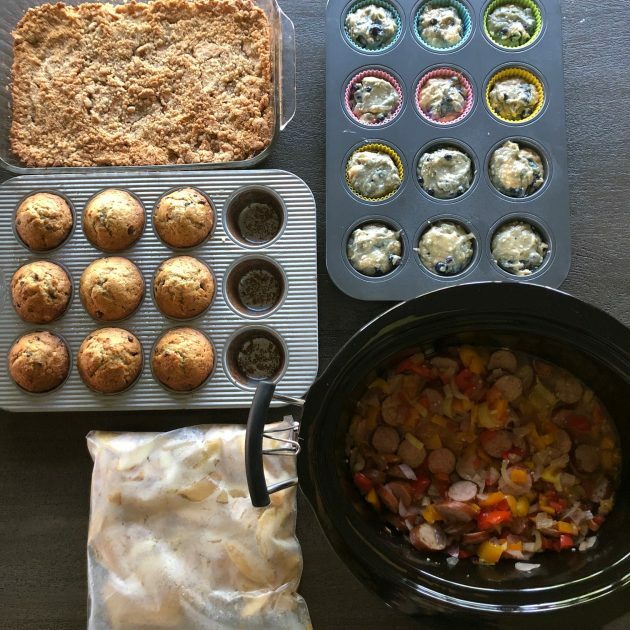 I forgot just how much I loved being creative like this — and it’s inspiring me to bring out a lot of my “old” tricks, like freezer cooking! 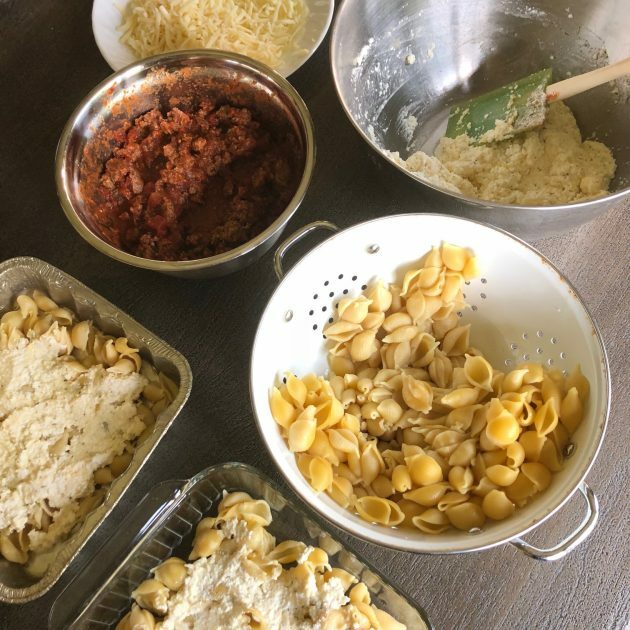 I did a completely impromptu freezer cooking day on Tuesday and am planning a comprehensive post about it tomorrow — along with links to the recipes and our thoughts on how the recipes turned out. 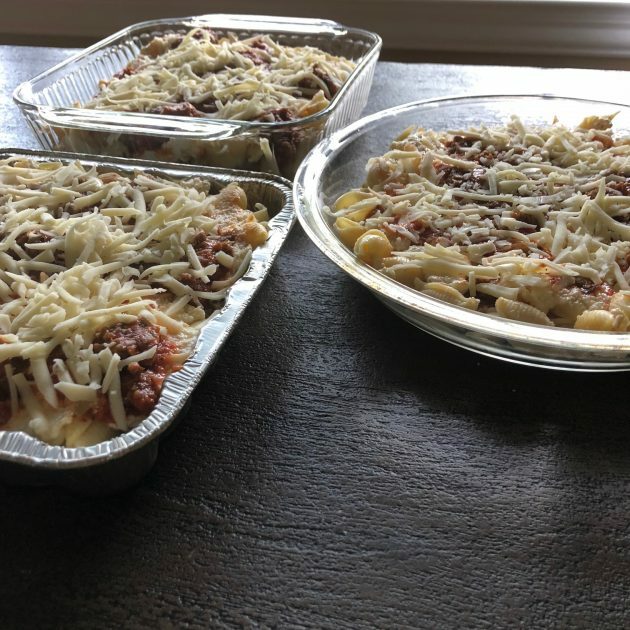 So many of you have been begging for me to bring back the freezer cooking posts, so I’m hopeful that this is something that I’ll be doing more of around here. I’m not sure if it will be a weekly thing or a twice a month thing. No promises yet, but just know that I’m going to attempt to bring more of those back! Many of you have been pretty surprised to discover that our “grocery budget” includes non-food items like toilet paper. I don’t think there are any hard and fast rules as to what a grocery budget should include. We’ve just always included household products and hygiene products and things like toilet paper in our grocery budget because we buy them at the grocery store. And well, it’s mostly because I’m all about efficiency… and the thought of having to try to keep multiple budgets straight when I’m buying stuff from the same store just feels so complicated to me. I try to look for deals that make the toilet paper $0.35 per double roll or less. So when I saw this deal, I jumped on it. We typically will see these types of deals a few times per month. 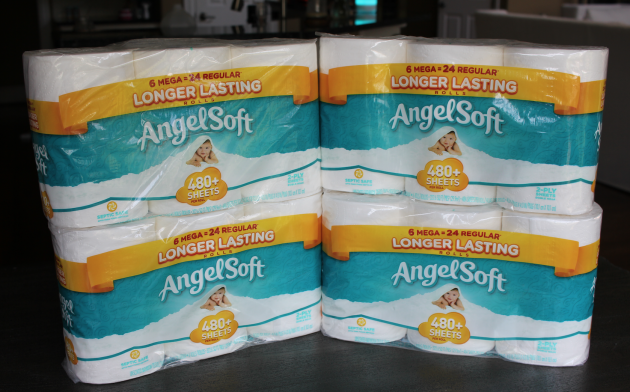 So if you want to stock up on toilet paper, be sure you’re subscribed to our email newsletter and check it daily when it lands in your inbox and then jump on the next toilet paper deal when it comes around! I’m hoping that this will last us at least 5-6 weeks. We’ll see! By the way, I use my Swagbucks credit to earn free Amazon gift cards to use toward purchases like this. It’s pretty easy to earn at least $20 to $25 in free Amazon gift cards every month, just by doing simple activities every day. You don’t need to refer anyone to earn this amount. However, if you have friends who would be interested in earning free gift cards from Swagbucks gift, be sure to use your referral link to invite them so you can earn even more! I love putting together lunches entirely from mark downs! 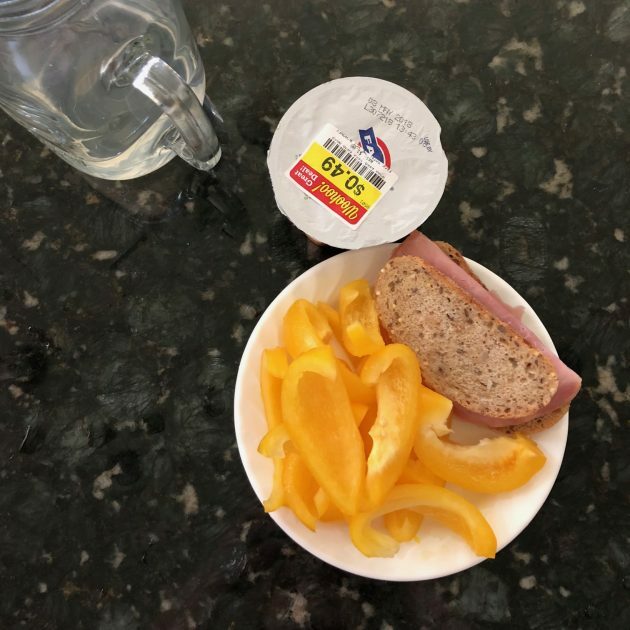 Marked down bread, marked down ham, marked down bell peppers, and marked down yogurt. Boom! 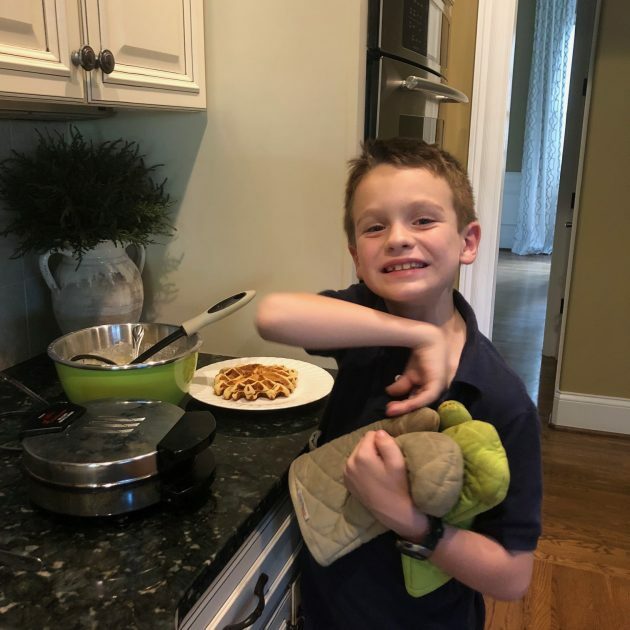 We made waffles, bacon (from the freezer that I picked up on that great sale a few weeks back), and clementines that I got marked down a few weeks back. 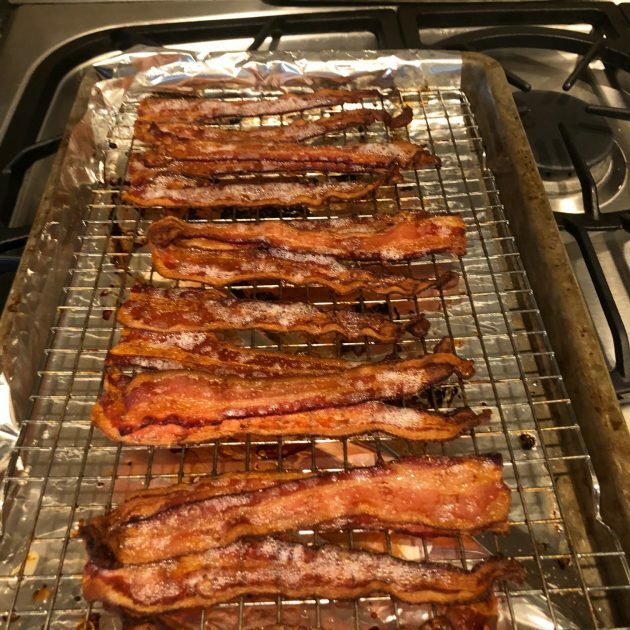 We learned how to cook bacon in the oven a few years ago and it is the best ever. 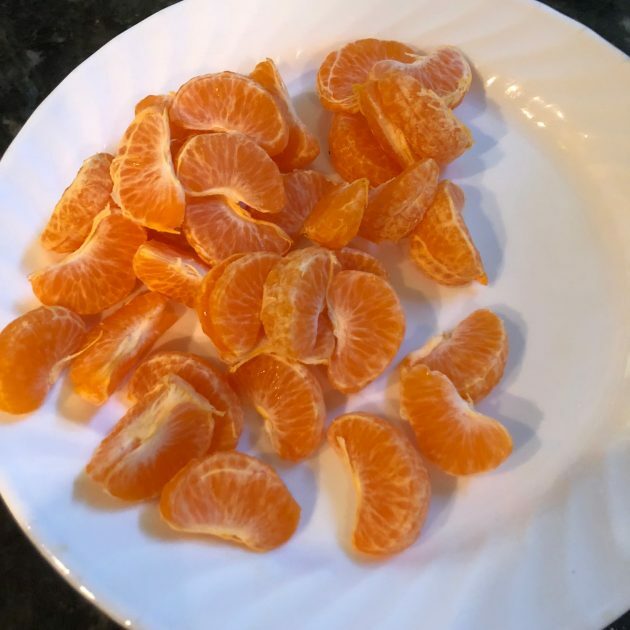 By the way, I always keep oranges and citrus fruit to use up last when I get mark downs because they keep for much longer than most other fruit. I think we’ve had these for at least 3-4 weeks? 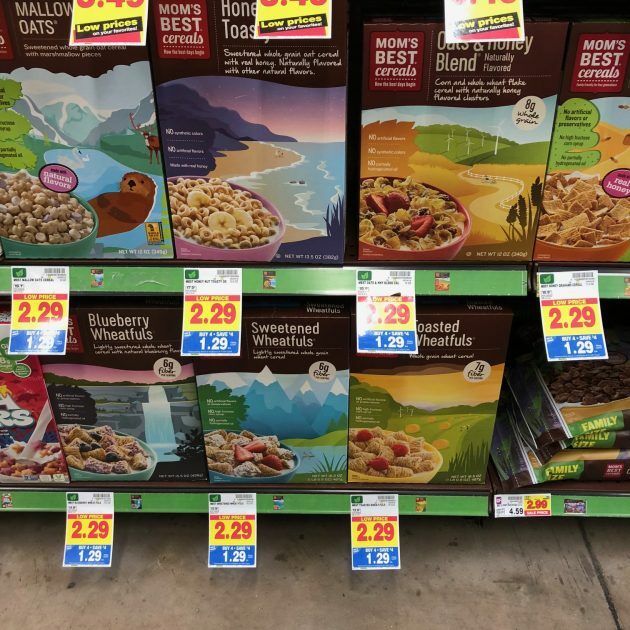 When I was at Kroger, I spotted this deal on Mom Best Cereals — you can get them for $1.29 per box, without coupons. Which is a good deal on these. I actually didn’t buy any because I got cereal for $0.99 per box with coupons (see below). But this would be a pretty good deal if you didn’t want to mess with coupons. 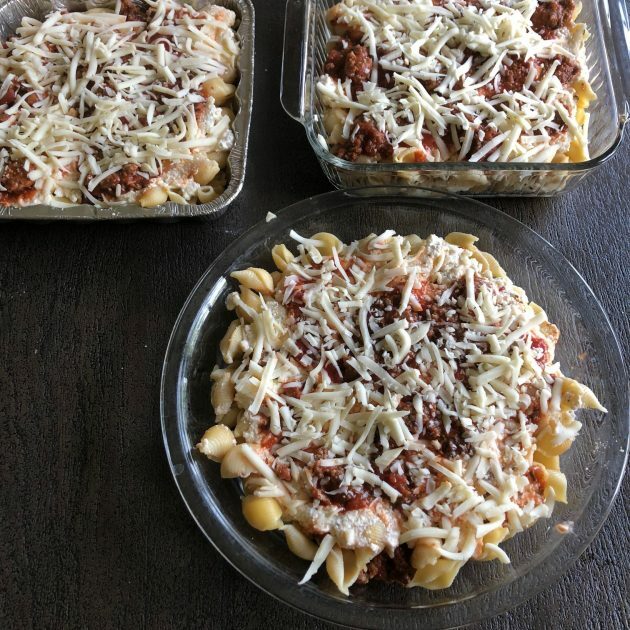 I made Baked Ziti for dinner — inspired by the fact that I got all those boxes of pasta for $0.49 per box recently. I also had a jar of pasta sauce in the fridge that needed to be used up (I had bought it a few weeks back and we had only used a little bit of it! ), cottage cheese in the freezer, sausage in the freezer, and then I picked up mozzarella at a great price today. 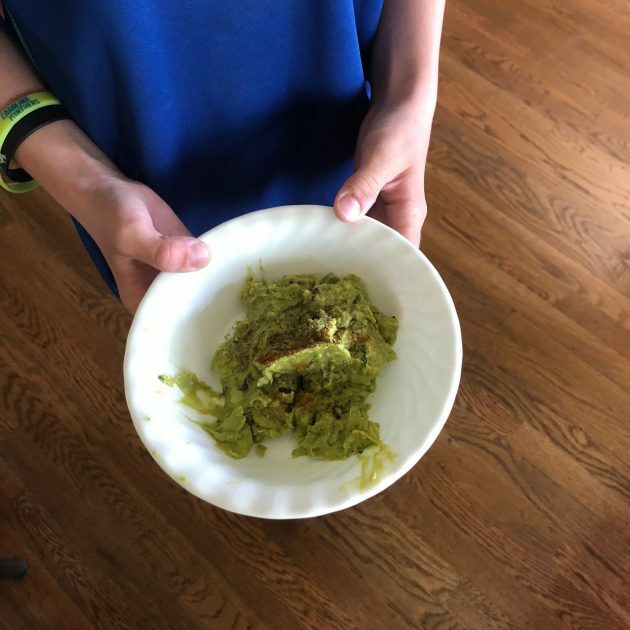 Kathrynne used some of the marked down avocados to make homemade guac — yum! She ate it for a snack with the tortilla chips we got last week for $0.99! 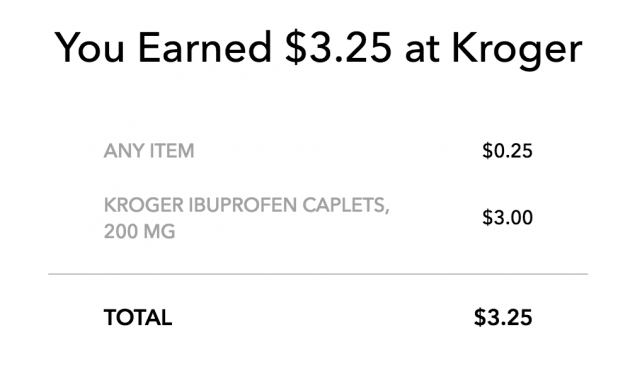 Cash back so far: $0.25 from Ibotta for submitting my receipt, $1.50 from Ibotta for buy 2 cups of Fage yogurt, and $1 from Ibotta for buying Bubly, and $0.25 from Checkout 51 for buying Tortilla Chips last week, another $0.25 from Ibotta for submitting my receipt, $3 from Ibotta for buying 3 boxes of Kroger Ibuprofen = $6.25 in cashback! Looking for more? Read more posts about Freezer Cooking & My $70 Grocery Budget & My Shopping Trips. The likely reason the romaine was marked down so much is because they are advising people not to eat romaine right now due to the E-coli outbreak that’s been in the news. Just thought you might want to know, because I’ve still been seeing news articles about it even in the past few days. I didn’t realize until yesterday (after I had already purchased the Romaine!) that they had re-issued yet another Romaine warning. I was so disappointed to find that out! ? There weren’t any signs of any sort at our Kroger. This was only for romaine coming from a specific area in Arizona. The signs at my kroger said it was for prewashed romaine. Oh, no–you didn’t buy Romaine. The CDC is still telling the public not to buy Romaine unless they are ABSOLUTELY certain that it’s not from Yuma AZ. I think it would be close to impossible to know exactly where a head of Romaine is from…they city where it’s grown is never listed (if purchased in a package). Please be careful–wouldn’t want anything to happen to my favorite blogger or her family! This is so awesome! We don’t have a Kroger’s by us, but I can still incorporate some of your great tips! How do you stay on your healthy lifestyle eating plan (from the nutritionist you recommended)? 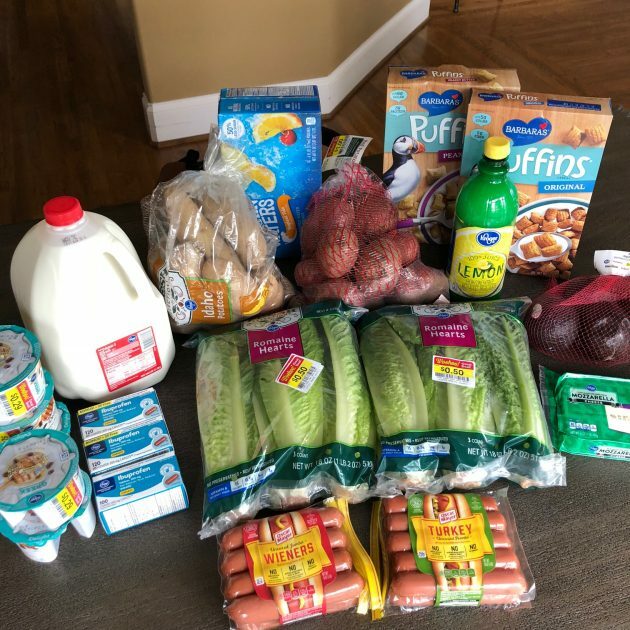 I struggle with finding healthy food cheap, and end up buying the not-so-healthy stuff (lots of pasta, lunch meat, cheap boxed stuff) to stay on budget. Thanks for always putting out such encouraging, motivating posts! I “graduated” from the nutrition plan a number of months ago and now just make sure to have plenty of good protein, whole grains, and fresh fruits and veggies to make up the bulk of my diet! Hmmm…after knowing someone who ended up in the hospital, I’m avoiding Romaine lettuce. Has the advisory recommending that people steer clear been lifted? Not yet. Still airing on the news. Supposed to be Romaine from Arizona, but I am stearing clear of all. I think it’s illegal to sell something that has been recalled. I know it is for toys, baby gear and other items so I assume the same is true for food. My grocery store had a sign under the Romaine saying it was not grown in the recalled area (I can’t remember where that specifically is). Like Crystal, I bought the Romaine. There has NEVER been a recall on this outbreak…it’s crazy! Sidenote….Crystal, I am glad you guys aren’t eating it! I can’t wait to start chowing down on romaine again…it’s my fav! I’m new to using online coupons. FOR The toilet paper deal how do you “clip” the $2 coupon & where do you find it? Currently my amazon cart total is $20 & change so how do i get it down to $16.94? I selected the subscribe & save option & it gave 5% = $1 off. That deal is no longer available — Amazon deals usually only last for a few days. But there should be another deal soon! Over 120 people are ill, half or so are hospitalized, at least one person so far has died and many have kidney failure all from this nasty strain of e.coli that is coming from Romaine. People in your state are already getting ill, too. I am in Oregon and so far there are no reports of e.coli to date, but I am still avoiding it. Fred Meyer, same as Kroger, is still selling it but posting warning signs about it. PLEASE do not eat the romaine unless you are 100% sure of its origin. If you have already opened it, lysol everything that has touched it because e.coli does spread. $1.00 is not worth your families health, or lives. I really do not mean to come off rude, but it seems you haven’t been following the news, because the e.coli problem has only been spreading daily. I will even mail you the dollar you spent to toss it. I am genuinely concerned for you and your family’s safety. I didn’t realize until yesterday (after I had already purchased the Romaine!) that they had re-issued yet another Romaine warning. I was so disappointed to find that out! 🙁 There weren’t any signs of any sort at our Kroger. I was surprised to read that you only tell your picky child to eat 3-4 bites of something he/she doesn’t like. I grew up having to wait at the table (for hours!) until I finished a food I detested. It was usually mushrooms and I later found out that it is a sensory issue for a lot of people with autism (me included). You might get some flak for your decision, but until you know *why* the child doesn’t like a certain thing, erring on the side of grace is a wonderful thing! You make a good point, Amanda. I once worked at a weight loss clinic, and we found that many of the people who struggled the most with their weight were those whose parents insisted on the “clean plate club”. 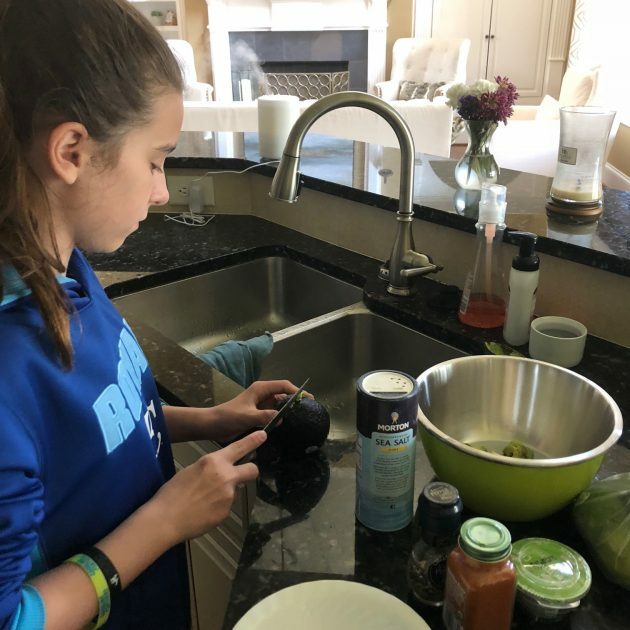 When parents force their children to eat foods they detest, it often sets them up for problems in the future. Yes!! I was a member of the ‘clean plate club’ and after having my daughter 2 years ago I haven’t been able to lose the weight. Ugh! I’m sure there are many reasons that contribute to my weight gain, but the ‘clean plate club’ certainly didn’t help! I love the super casual! And believe me, that’s what most of your viewers look like while we watch you. This is real life stuff. Good post! I so enjoy your posts on the grocery challenge, but I do find that the fact your grocery store makes SO MANY THINGS clearance price before they even look spoiled or brown (produce or meat/proteins) makes doing these challenges frustrating and impossible as we do not have that particular store or any store with those kind of pricing. I live in South Florida so forget trying to duplicate a budget even close to yours 🙁 Glad for you though. Remember that I chose a number for our grocery budget based upon what I know I can do with where I’m at in life and what options I have. I encourage you to choose a number that works for your family. I’m not trying to ask others to choose the same number as me because that would never work because everyone is in a different season with different needs, different capacity, different stores, and different options. So please challenge yourself to do what works for you when it comes to your budget and don’t feel discouraged or defeated when it’s different than me! Also, do you have an ALDI or discount grocery store in your area? -please try to be consistent about posting your weekly menus, but the one menu you had was a little more realistic than Brigette’s, I found. 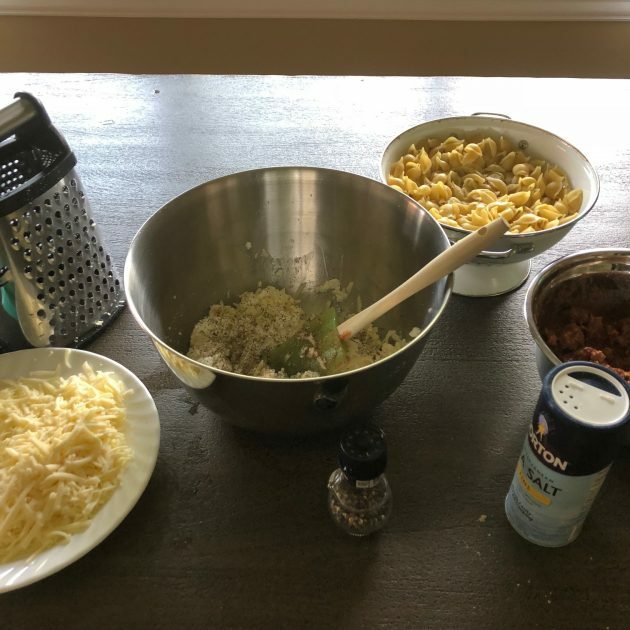 -I love how the one post is about groceries and the first photo is a giant photo of Tostitos, cracked me up, hey, junk food is part of the grocery budget too, sometimes you gotta indulge! No judgment here! -Love you, you do you! I’ve been posting them on Mondays or Tuesdays the past few weeks and plan to continue that! Do you have any tips for getting so many clearance sales? I know you check often, anything else like certain days/times seem better or does that depend on the store? Love your glasses!! Super cute on you!! Thank you! I love them, too! 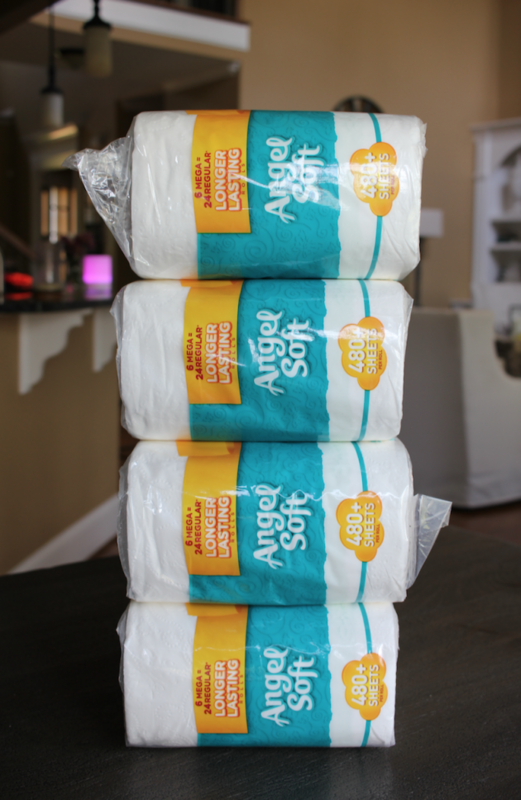 I believe it’s single rolls, not a double rolls, though, so compared to this, that would make it $0.50 per roll. Let me know if they changed it recently and now offer 4 double rolls for $1. If so, that’s a great deal and I’ll definitely be checking it out myself! I don’t know…I find it very hard to compare TP. Am I the only one? The thicker the sheets are, the less you have to use. I mean, those 1000 sheets per roll kind, you have to use a ton of squares each time, so I don’t think they’re a better deal. 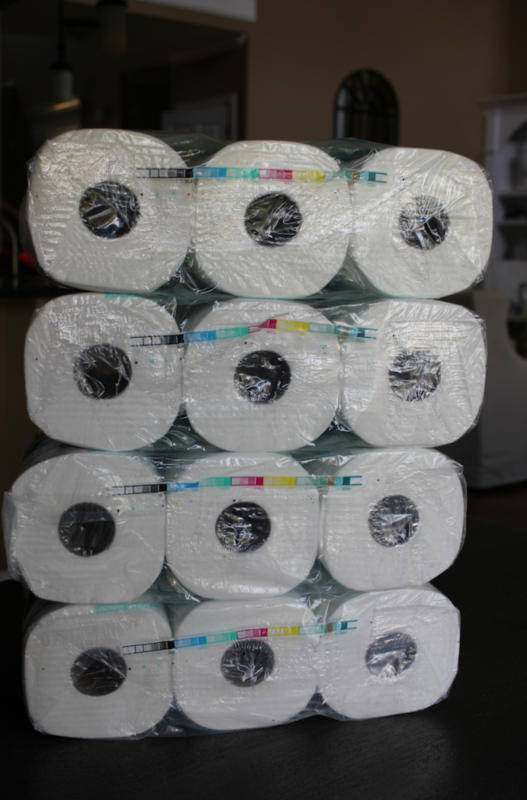 You can’t compare sheets per roll easily, because it depends on how thick each square is. Know what I mean? lol! Maybe one day I’ll get on the bandwagon of ordering household stuff. Right now, I pay cash for that, so online doesn’t work lol. I’m like you, I lump household and hygiene products with the grocery budget. It’s all grocery store purchases! Do you eat the freezer meals? Muffins? 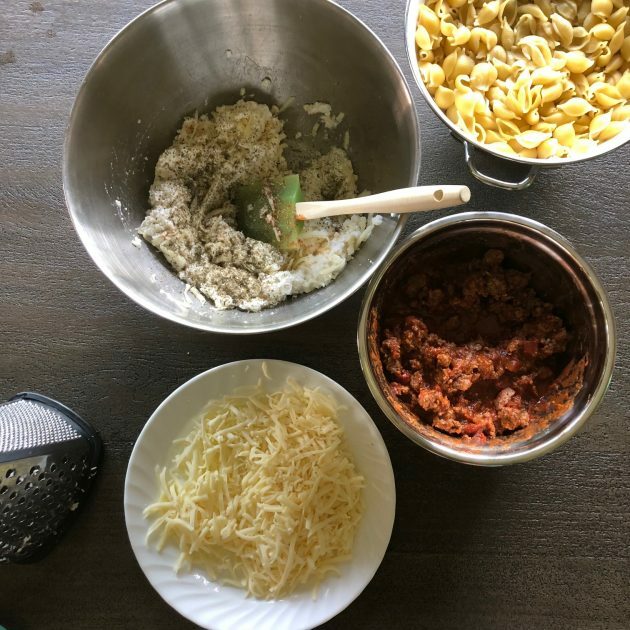 Pasta etc?